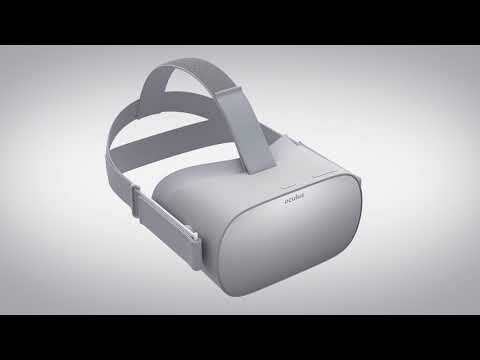 Announced at the Oculus Connect 4 conference, the Oculus Go is a virtual reality standalone headset that doesn't require additional hardware and is described as a 'sweet spot' for entry level VR experiences. The Go variant is part of Facebook's goal to achieve a billion VR users with the new headset revising the design of the Oculus Rift with quality of life improvements despite being 'weaker' in performance. Oculus Go was released 358d ago in the US and the UK. Based on 9 Oculus Go 64GB reviews, Oculus Go gets an average 64GB review score of 85. The score for all versions is 85 based on a total of 18 reviews. The Oculus Go delivers a great VR experience for the money, no smartphone or PC required. The new Oculus Go delivers. It is the first VR device that can truly bring great VR to pretty much everyone. The Oculus Go is the first VR headset that truly makes it easy to dive into VR without the hassle of connecting a phone or PC. The Oculus Go is the virtual reality headset we’ve been waiting for -- not because it’s incredibly powerful, but because it’s inexpensive and easy to use. It's comfortable, it boasts a huge software library, and it comes from a company that has polished its user experience to a fine sheen. The Oculus Go is a well-crafted virtual reality headset. There’s a very solid foundation here for a great VR experience, with good motion tracking and a decent screen, but the Oculus Go doesn’t quite have itself a killer app at launch. Oculus Go is VR for the masses: A self-contained, standalone virtual reality headset that's portable, affordable and delivers a great experience for the price. The fact is, this affordable, complete VR system in a box is what the world has been waiting for.